The Chinese studio has created a series of lighting fixtures, having its inspiration in mother nature. Some marvelous lighting pieces, this lighting project will take your breath away. Keep reading to get inspired! This Chinese studio inspiration, creativity, and activity come from the constant research and the desire to create different and innovative things. The Yanzi collection is a lightweight composition of graphic signs. 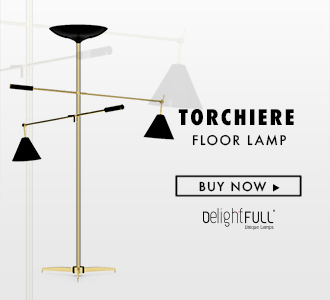 With an elegant and poetic stand, this collection features pendants and floor lamps as well. Including balanced structures, like branches and perches, these lighting fixtures provide abstract birds and look like cages. Available in several versions, this collection feature either solitary lights or multiple lights that remember birds poised in branches. Hoop shaped details that recall us perches and glass domes that require us as cages. “Our light proposal pays homage to both the urban and the natural, the rigid and the organic,” said the studio. The Yanzi range was launched at the Euroluce lighting fair during Milan design week. This lighting collection was made for Artemide. In the making of this lights was used slender rods of steel.